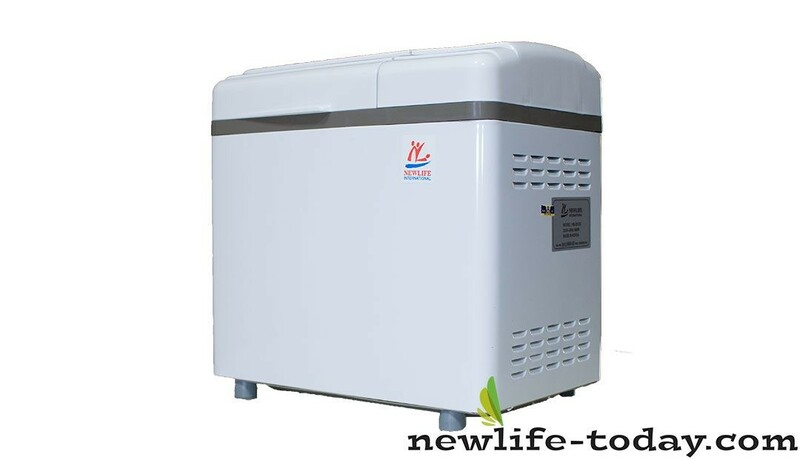 Buy this Bread Maker at RM 638.00 (20% off retail) when you become a member of NewLife International. Bakes bread in less than 2 hours in your kitchen; choice of bread mix without added preservatives or artificial colour. Capable of baking a variety of bread and cakes. Detachable top cover & viewing window on the lid allows you to watch it bake before your eyes. Extra large size capacity of up to 1kg loaf. Has a delayed-finish time setting & will keep warm for up to 3 hours. This signal alerts you when you need to add additional ingredients (eg; raisins) which might be required for special breads; also an audible beeping sound to indicate when the bread is done. Multi-setting – Basic Bread, Specialty Bread, Rye Bread, French Bread, Sweet Bread, Whole Wheat Bread, Rapid Bread, etc. Doughs – Bagels, Cinnamon Rolls, Other Rolls, Pizza Dough, etc. Cakes – All kind of cakes.